There was a pro basketball player named Cornbread Maxwell. First off nice subject line. I love my DMB (and a “dirty” song at that). Second, I should have my mama send her cornbread recipes. What I judge all other by (however unfairly). The best is the one with jalapeños. Yum!!! Always made in a skillet. 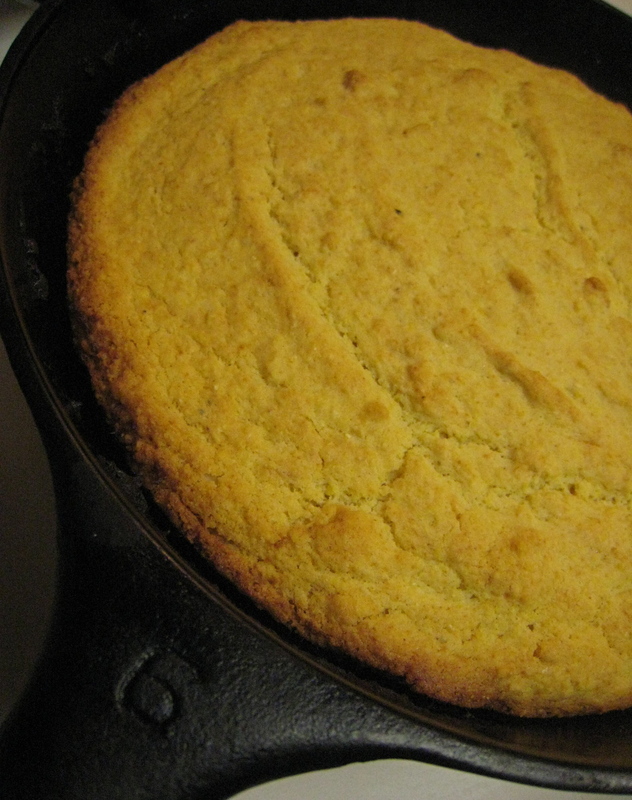 Ma makes excellent cornbread… Don’t forget to heat the skillet sizzling hot with a little oil before you pour in the batter so the outside is perfectly crispy. Your description of your cornbread preference was what you grew up eating. Sometimes the flour added though was wholewheat. We would cut a pie piece shaped slice, break it open, put real butter in it, and drizzle honey on top of that. BTW I also have Mrs. Gibson’s recipe. God blessed her heart. And ours with her. She used the hot greased skillet method in her 1830’s kitchen. And I remember having that cornbread for breakfast- Mmmmm! Funny that we both wrote about cornbread today!